Sloan Biography, Discography, Music News on 100 XR - The Net's #1 Rock Station!!! Comprising three distinct vocalists, guitarists Patrick Pentland and Jay Ferguson, bassist Chris Murphy plus the drummer Andrew Scott, the Alternative-Rock band Sloan formed in 1991 at the Nova Scotia College of Art and Design in Halifax, CANADA. The group began to cultivate a dedicated local following through their energetic live shows and in early 1992 released an EP called "Peppermint" on their own Murder Records label. Not long after DGC Records signed them and by October of that same year, the band released its major label debut, "Smeared". The record went gold in Canada and included the single "Underwhelmed" which reached the #25 position on the Billboard's Modern Rock chart. The quartet returned in mid-1994 releasing the single "Coax Me" in advance of their sophomore effort, "Twice Removed"; although the album became a huge hit in their native Canada, DGC refused to support the release south of the border. "Twice Removed" was also ranked the top Canadian album of all time in chart reader polls in 1996 and 2005. 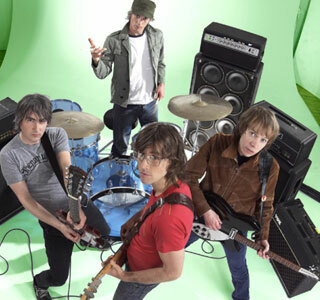 After Sloan split with their label, the band nearly broke up during 1995, but in June of 1996 resurfaced with their third LP, "One Chord To Another", released on its own Murder Records in Canada and later distributed in the rest of the world by EMI Records; the 12-song set went gold in Canada and featured the top 10 hit single "The Good In Everyone". Two years later, "Navy Blues" rose to #5 spot on the Official Top Canadian Albums chart confirming the band as one of the leading power Pop-Rock acts in their homeland and spawning the successful singles "Money City Maniacs" and "She Says What She Means". During 1999 the quartet issued the live double-CD set "4 Nights At The Palais Royale" and shortly afterwards recorded a new studio effort titled "Between The Bridges" which made top 20 in Canada upon its release in September; this album included three single cuts: "Losing California", "Friendship" and "Sensory Deprivation". Exactly two years later, the band put out "Pretty Together"; the record, lead by the single "If It Feels Good Do It", brought them back into the top 10 of the Canadian Albums chart. August 2003 saw the release of the group's seventh studio effort, "Action Pact"; prefaced by the single "The Rest Of My Life", the album became another top 10 hit for the band. 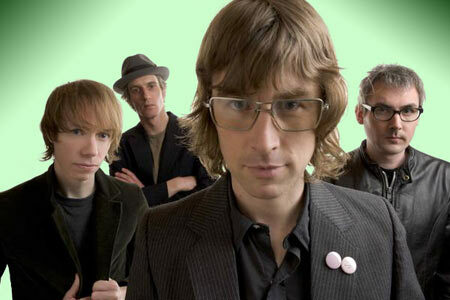 In May 2005 Sloan delivered a 16 well-crafted tracks retrospective compilation titled "A Sides Win: Singles 1992-2005", the set contained two previously unreleased songs including the single "All Used Up". 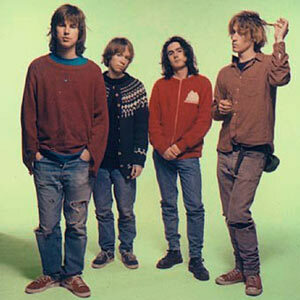 The band's eighth studio recording, "Never Hear The End Of It", contained a whopping 30 songs from all four members of Sloan ranging from 50 seconds to just over five minutes in length; the CD was released in September 2006 and included the singles "Who Taught You To Live Like That?" and "Ill Placed Trust". They follwed it up with, "Parallel Play"; released in June 2008 through Yep Roc in the United States, the album was a continuation of the musical concepts put forth on their 2006's 30-track, 76-minute opus and a further exploration of the band's four-songwriter dynamic. It included the Canadian Rock radio hits "Believe In Me" and "I'm Not A Kid Anymore". 2011 marked Sloan's 20th anniversary. Murphy, Ferguson, Pentland and Scott have been making music together for two decades and to celebrate they released a new studio album: "The Double Cross". In May 2011 the 12-song album was put on shelves through Outside Music in Canada and Yep Roc in the United States. The first single off of the band's tenth effort was the Canadian Active Rock top 10 hit, "Unkind".